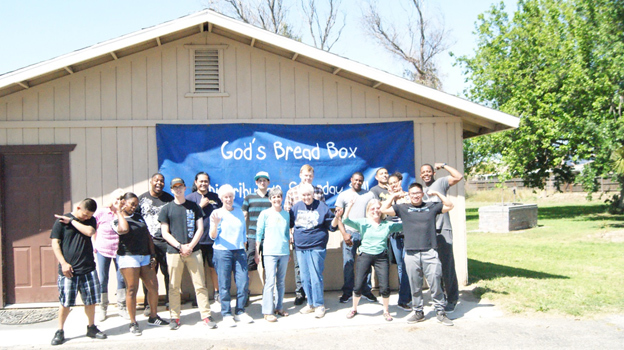 God’s Bread Box is a 501©3 tax deductible organization. 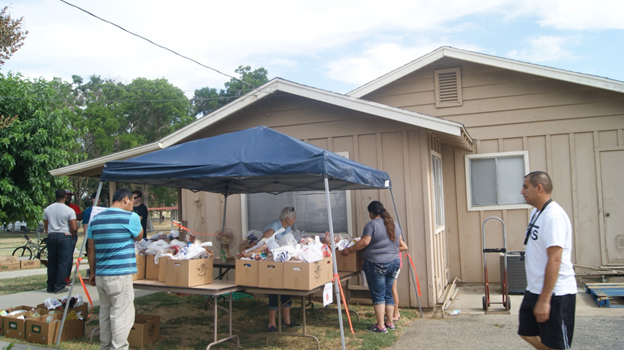 It was created in 2011 to help meet the needs of hungry families in the Lemoore/Stratford area. 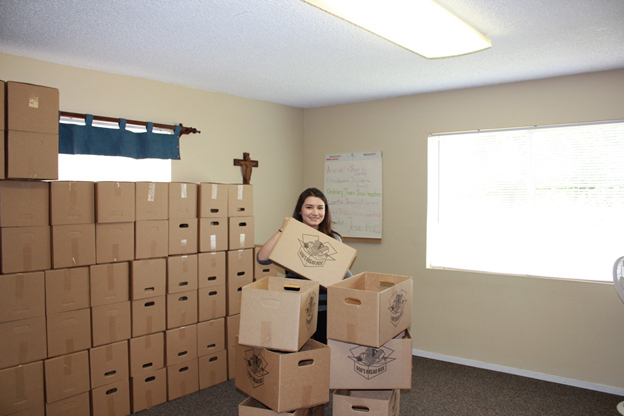 We are 100% nondenominational and completely staffed by volunteers. At the time, the economy was depressed, and unemployment was rampant. 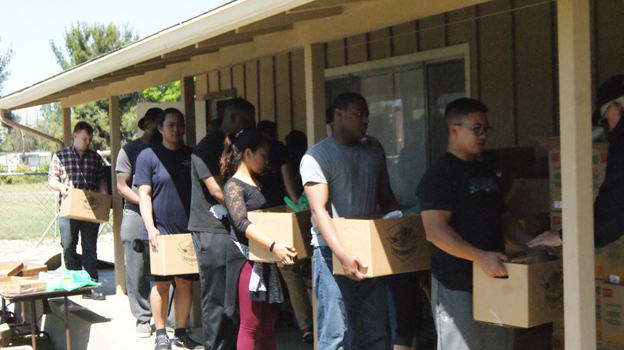 Kings County is one of the poorest counties in California and had one of the highest unemployment rates in 20210. 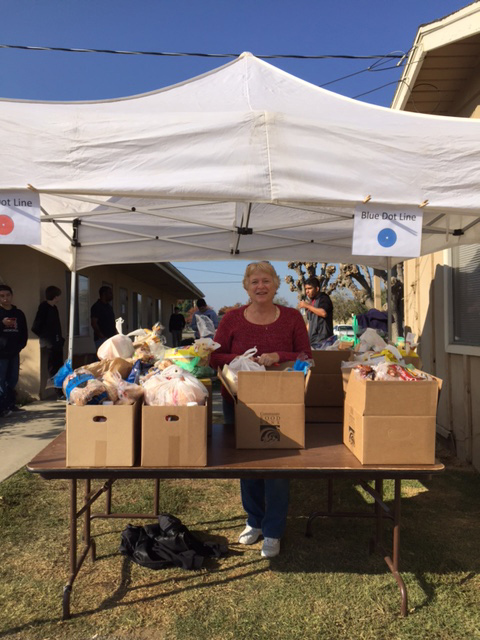 There were only two other organizations helping to feed the needy. 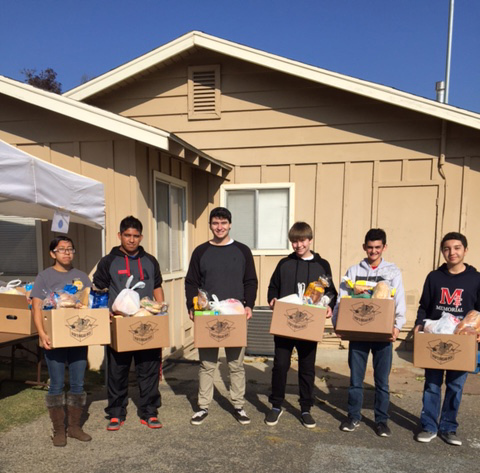 Lemoore Christian Aid offered help every six months (fortunately that has changed to every 60 days) and USDA commodities. This was clearly not enough help. 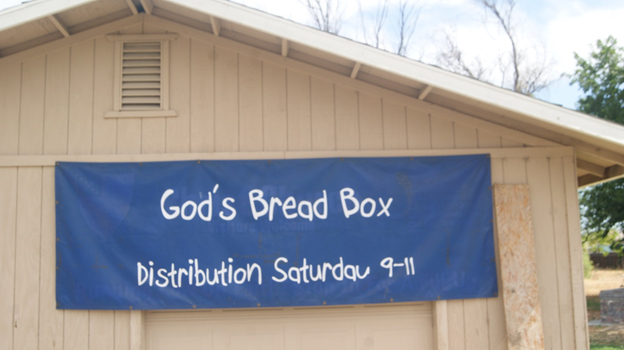 Four women decided to do something about it and in January 2011 God’s Bread Box received our tax-deductible designation. Over the years our client base has varied. We are now serving between 200-250 families each month. Many of our clients are senior citizens living on small fixed incomes. Several others are seasonal workers or perhaps temporarily unemployed. They simply can’t make ends meet. We continue to register new clients and see many of our returning friends at our distributions. The food we give is not a huge amount, but it is enough to sustain a family for a few days. 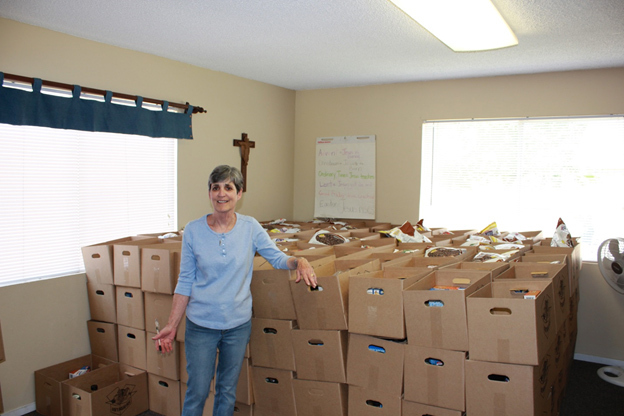 Our boxes are filled the day before our distribution with foods high in protein (meat, cheese, peanut butter), bread, and fresh fruit and vegetables when available. 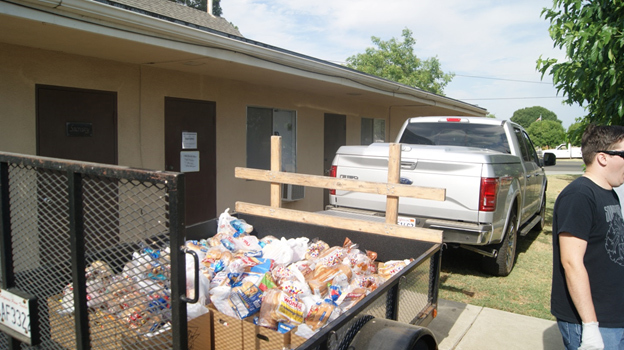 Most of our food comes from Community Food Bank in Fresno. 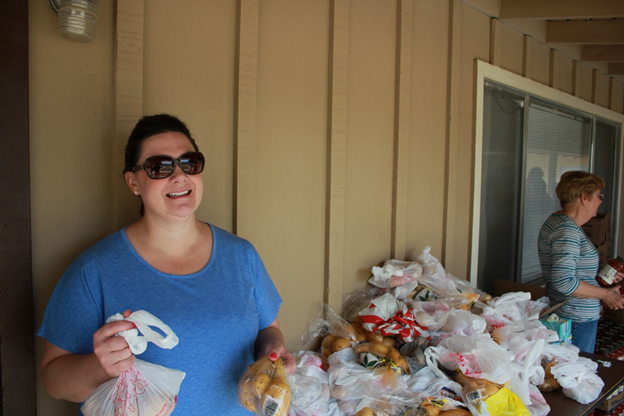 We also receive day old bread from distributors and sometimes grocery items that have been pulled from the shelves, or given to food drives. We are able to purchase meat locally, as Best Buy Market is competitive with the food bank. These boxes are distributed on the 4th Saturday morning of each month.